To be sure, the No-Kill movement started small. But why is Nl-Kill receiving so much attention lately; and why here, in Los Angeles, the City of Angels? Is it a coincidence that No-Kill is so quickly rising to a place of national notice? Is it a coincidence that No-Kill is getting so much recognition just now? We live in troubled times; a time of war and rumors of war. A time of fear so great that men’s hearts are failing them because of what they see coming upon the earth. We live in a time when just reading the daily newspaper or listening to the evening news can cause you to question the value of life. I remember growing up as a boy in Detroit and listening to the morning newscaster on my way to school. Each day he would begin the News by asking the question “What’s a life in Detroit worth today?” And then he would give an account of how someone’s life had been snuffed out the night before for $20, or a pair of sneakers, or because someone didn’t like the way a person looked at them. I find it interesting that No-Kill is suddenly receiving so much national attention during a time of unprecedented violence in the world. I’m reminded of a letter that was written by an itinerant preacher named Paul to a group of Romans 2,000 years ago. In his letter he addressed the violence of that generation by explaining, “that where sin, death and violence abound, grace and truth does much more abound.” The darker the world seems to get, the brighter the light of truth and compassion. In a Country where the literal wholesale slaughter of animals is common practice, No-Kill stands as a brilliant contrast and contradiction to the way we live as a community. In a world where people kill each other while claiming they are doing God’s will, it is fascinating to hear stories of how Palestinians and Israelis will join forces to tend feral cat colonies during a cease-fire. Today, we live in a time when our national leaders are grappling with defining “good” and “evil”. They tell us that we are good and we are at war with evil. I think it is true that the war between good and evil is manifesting in our age like no other. What is interesting about Good and Evil is that so many try to define good and evil with words alone. However, there is only one way that good and evil can truly be understood or defined, and it is not by what you believe or by what you think, but by what you do. Good and evil are defined and understood by our actions. On September 11, 2001, we all saw evil manifested in the desperate and hateful act of 19 religious men killing thousands of innocent men, women and children in New York City. Some questioned, as they should, how can religion bring men to do such evil while they think they are doing good? So what is the significance of the No-Kill initiative in Los Angeles as we enter the year 2007, just five years and three months following 9/11? Before I answer that question, I need to talk about evolution. In the theory of evolution, Charles Darwin explained that a species evolves by adapting to a changing environment. He further explained that only those members of the species “fit” enough to adapt are fortunate enough to survive. Today we live in a changing environment, an environment defined within the context of a war between good and evil. If that is the case, how will nature determine who is fit to adapt and survive? More to the point, are we fit enough to adapt and survive to our changing environment? Are you fit enough to adapt and survive? I am confident the answer to that question is a resounding YES. And the reason for my confidence may surprise you. I think the evidence that suggests we are adapting well to our changing environment is found in the fact that we are attempting to achieve No-Kill in Los Angeles, New York City, and more and more communities each year following 9/11. I agree with our national leaders when they tell us we are at war with evil. But I hasten to caution that we not make the mistake of thinking this is only an external war, a war in Iraq and Afghanistan. The outward war is merely a manifestation of an internal war; the real war is in and for our own hearts and minds. This war can’t be won through outrageous acts of violence on the battlefield or in the street, not by dropping bombs on each other or by throwing red paint on each other. This war is won by our becoming what we espouse; by living our beliefs. Faith and reverence for life is the only antidote for the madness that seems to be engulfing the world today. Our reverence for life is the light of the world. The antidote is so simple that it is easily missed, and millions miss it every day. Are we, as a society, in danger of thinking the life of any creature is worthless? I think that before No-Kill came along we could argue, in our ignorance, that we had little choice but to kill unwanted dogs and cats in our attempt to control over population. But with clear evidence that NO-KILL is achievable, can we not now argue, along with Albert Schweitzer, that if we chose to ignore No-Kill initiatives we are but one step removed from thinking human life has no value? Over the years psychologists and law enforcement agencies have come to understand the link between animal cruelty and spousal, child, and elder abuse, and other forms of domestic violence. Violence does not discriminate against victims. If that link exists in the life of a person, could it be true of a community? Can a community’s insistence on catch and kill programs, when humane non-lethal alternatives exist, be the link that reveals a community’s lack of respect for human life? Not all human life perhaps. A community may start with feeling that the lives of its enemies are worthless. Then perhaps those people who don’t agree with its religious or political beliefs. And if Schweitzer is correct, such an unthinking attitude could lead to the abuse of our aged, our young, our infirmed, and impoverished. When we begin to devalue life, where does it end? It ends only when a community decides to value all life. Consider the biblical story in which two ancient towns are threatened with destruction because their inhabitants are perceived as living violent, self-absorbed lives. A decidely old school intervention is staged whereby the possibility that 50, 40 or even as few as 5 “righteous men” might live there leads to the possibility that the towns might be spared. If Abraham could prevail upon God to make compassionate decisions, then perhaps we can prevail upon our community to do the same. Now there may be some who may find fault with my comparing the lives of 5 righteous men to the tens of thousands of lost and homeless dogs and cats living in Los Angeles. But if you do, it would be because you’re overlooking the moral of the analogy. The moral of the analogy is not that the lives of feral cats or lost and homeless pets are equal to the lives of men. The moral is that when we, as compassionate human beings, can value the lives of creatures as seemingly insignificant as dogs and cats, we will begin to understand the true capacity of our own souls to make compassionate, life-affirming choices. Mahatma Gandhi taught us that the only way to determine the true value of a community is to look at how that community treats their animals. Community value is not determined by our political rhetoric, or by our wonderful community and public health programs, or by our art galleries, libraries and parks alone. Our true value according to Mahatma Gandhi is found in the way we treat our animals. So if we as the greatest City in the world can develop a life-affirming program for the lowliest of all creatures, our lost and homeless pets, what does that say about us as a community? Again, it is not my intention to offend anyone’s religious sensibilities, so if you are offended by what might sound like my equating dogs and cats to the lowliest of humans, you have missed my point. I am not talking about the value of lost and homeless pets; I am actually trying to explain the human capacity to love. The capacity to love not only our friends, our neighbors, or even our enemies, but to even love the thousands of pets that find their way into our City Animal Care Centers. I spoke earlier about Darwin’s Theory of Evolution. It may surprise you that as a former Pastor I believe in evolution, but not in the same way Darwin did. I believe compassion is the catalyst for our evolutionary growth. In fact, I believe compassion is the only evolutionary force left to us for our own human development. In earlier ages we had to rely on physical strength to survive, in more recent ages we had to rely on our mental strength to survive. Today I think we rise or fall as a species depending on our capacity to love all creatures, great and small. Our survival as a species depends on our ability to extend the circle of compassion to include all creatures. The world does not belong to those who embrace cruelty; the world belongs to those who can love greatly. Scientists talk about evolution in terms of biology. I think evolution is not so much a biological force as it is a spiritual force. It is not merely a force that makes men out of monkeys; it is a force that can turn men into angels. Love can be a pretty ethereal term, but we can all understand the concept of kindness and mercy. Once you begin to think kindly and mercifully about life, you begin to truly appreciate the value of life, and when you truly understand the value of live, you become what Schweitzer calls a “thinking being”, and as a thinking being you find yourself looking for ways to act compassionately and mercifully towards all life. In other words, if you are a thinking being you will love your fellow creature as you love yourself… You will extend the Golden Rule to include other species. According to Schweitzer, a person is not even a thinking being if he cannot reverence the will-to-live in other creatures. We live in a day and a world where 19 men can fly airplanes into buildings with the malicious intent of killing thousands of fellow human beings. We also live in a day when hundreds, perhaps thousands, of people will devote their lives and their resources to help Los Angeles achieve No-Kill. These two acts in my view define Good and Evil. But let me be clear, you don’t have to fly an airplane into a building to manifest evil. All you have to do is understand that thousands of animals are dying in animal shelters every year and do nothing about it. According to Schweitzer that is also an evil act. Schweitzer recognized that it was often in such thoughtlessness that evil most often manifests itself. Think about that. The roots of cruelty are not so much strong as they are widespread. That explains why an act of kindness is so powerful. It is powerful because it is stronger than cruelty; cruelty is shallow and weak. If all men could live their lives in kindness and mercy towards all creatures, soon the light of compassion would overwhelm the darkness of unthinking and habitual cruelty. This is the mission of LA Animal Services. We are here to acknowledge that in a time of war and violence, the circle of compassion is not diminished but rather grows larger and larger each day. We are here to affirm the small work we started in faith is growing stronger and stronger every day. At a time of unprecedented evil, we are making an evolutionary leap, a leap that may go unnoticed by many, but a leap nonetheless of thinking beings consciously expanding the circle of compassion to include all creatures. We are here to assert and demonstrate by our actions that love, life, compassion, kindness and mercy are stronger than hate, violence and death. According to Albert Schweitzer, the “Affirmation of life is a spiritual act;” performed by thinking beings. As thinking beings we affirm and embrace life saving No-Kill programs like New Hope, Big Fix, FELIX, STAR, TLC, the Bottle Baby and Foster programs, and Safety Net as a compassionate means to finally eliminate the troubling conditions of our lost and homeless pets. I am asking all thinking Angelinos to help us make Los Angeles the safest City in the United States for our pets in 2007! We can solve the problems of pet overpopulation without sacrificing our compassion or humanity, and we can do this together this year! This past year has certainly been a challenge for the employees, volunteers, partners, and supporters of LA Animal Services. But because of our shared vision and values we have successfully begun to restore LA Animal Services into its rightful place as a nationally recognized animal welfare organization! I have been involved in animal welfare, and animal control, for nearly 30 years, and in all that time I have never met or been part of a team that made me prouder. The depth of experience and knowldedge in this organization is second to none! The compassion and support of LA for its largest animal rescue organization is second to no other community! As I prepare to begin my second year working with this outstanding organization and community, I want to welcome both Linda Barth and Debbie Knaan, our two new AGMs, who will be instrumental in helping us take Animal Services to the next level. However, I don’t want to close out 2006 without recognizing the real heroes in this organization! They are our Animal Care Techicians, Registered Veterinary Tecnicians, Animal Control Officers, our Veterinarians, our managers, supervisors, and administrative staff at all levels, and our volunteers and partners! It is because we function as a team, even as a family, that we are able to accomplish what so many consider impossible! This past year we saw the opening of the expansion of our North Central Animal Care Center. Beginning this Spring we will begin a series of rapid fire openings of our remaining Animal Care Centers and our new Spay/Neuter Clinics. 2007 is going to be our year on so many levels! New state of the art animal shelters and clinics, new life saving programs, and more public support than ever before! And none of that would or could happen without our employees, volunteers, partners and supporters! Many supporters and employees endured and suffered the wrath of a small uninformed, disengaged radical animal rights community this year. These individuals do an incredible disservice to the very animals they claim to want to help, not to mention delay the progress we could be making in transforming LA into a major No-Kill community! For all who had the courage to align yourselves with the department and the animals in our care, I want to publicly thank you! You played an instrumental role in saving lives and helping to position Animal Services as the best animal welfare agency in the United States! Thanks to you, in 2006 we saw the greatest number of animals placed into loving homes, the fewest number of animals euthanized, and the most animals spayed and neutered in LA City history! And 2007 will be even better! As we close out this year, I want to wish you and your families the warmest Holiday Season and thank you again for your continued support in making Animal Services the best it can be and making LA the safest City in the United States for our pets! I look forward to working with you in 2007! Happy Holidays! Much confusion is being circulated regarding LA Animal Services Mobile Adoption Program. Please understand that WE DID NOT CANCEL THE OFFSITE ADOPTION PROGRAM. We simply redeployed our limited human resources. The ONLY off site events canceled were the ones at venues that historically proved to be unproductive and a poor return on time and energy invested. 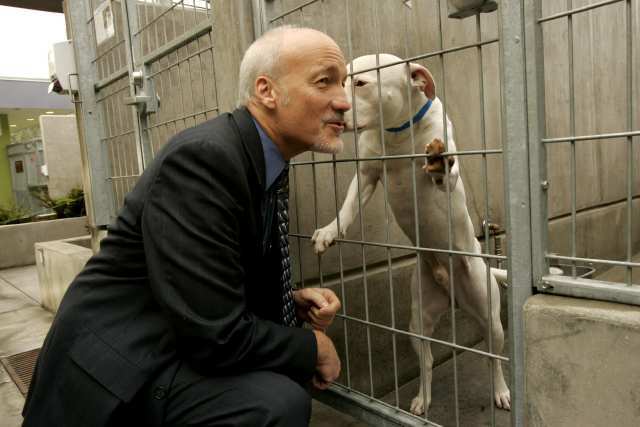 These events were cancelled because so few animals were adopted at these locations. It was not uncommon for no animals to be adopted from these venues. In their place staff is selecting higher profile venues such as parks, street fairs, and other community events. LA Animal Services conducted nearly 100 off site adoption events in 2006 compared to 15 or 20 in previous years. And we intend to do even more in 2007. As always thank you for your concern and support of LA Animal Services and the animals in our care.